Winter Winston Set by Harry’s Happy Black Tie-Day! Based on Leather Head’s fantastic Handsome Dan football, the Thanksgiving Turkey version can be your game ball and your trophy. Seriously. 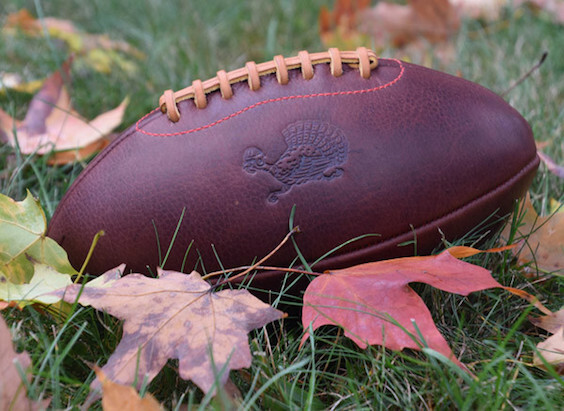 Handmade from some of the finest leather you’ll ever lay hands on and embossed with a Turkey designed by Jon Contino, this Football is made to be used, but it’ll look just as great sitting on your bookshelf as a reminder of that incredible game winning catch you made over your cousin Eddie.